KUALA LUMPUR: The Indian High Commission in Malaysia informed that the terms of the e-Visa have changed from 120 days for double entry to one year for multiple entries, while the fee ̶ at US$82 (RM332) ̶ remains the same. India’s High Commissioner to Malaysia, Mridul Kumar, said the Indian Government had taken the liberalisation step in e-Visa to make it easier for Malaysian travellers who frequently visit India for tourism, religious and family purposes. “Earlier, the e-Visa for tourism purposes had certain stipulations. You could go only twice within a window of 120 days with a validity period of 60 days in total. Now we have done away with that and have given the facility of e-Visa for one year,” he explained. Commenting on the hike in Indian visa fees in July last year, Kumar said it was a complete misunderstanding and misguidance. “There have been misconceptions created in the mind of people that visa fees had been hiked. The Indian Government has tried its level best to give more facilities to people who want to travel to India,” he told Bernama International News Service here recently. 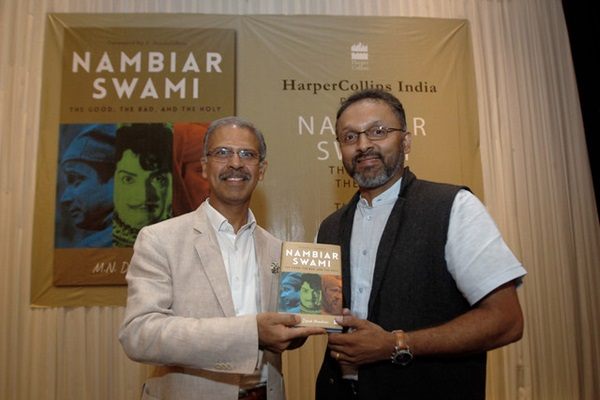 Kumar was met after the official launch of the biography on South Indian film legend, the late MN Nambiar, titled “Nambiar Swami: the Good, the Bad and the Holy” by the late actor’s grandson MN Dipak Nambiar. The High Commissioner said that the over-the-counter six-month tourist visa, which has been scrapped, was costing $40, but later the Indian Government offered two categories of tourist visa – one year (multiple entries) for $100 and five years (multiple entries) for $200. He said this was for the convenience of frequent travellers to India, adding that it would give people a longer duration visa with a longer stay. “Now, people who frequently travel to India do not need to come 10 times to the High Commission to take visa. Actually the visa fee has been reduced because if the fee is extrapolated, for six months we were charging US$40, while now we are giving you 10 times longer duration of visa (five years) and charging only five times more fees ($200),” he explained. “So after a long gap of 10 to 12 years, and following a lot of deliberations, India has decided that we will liberalise our visa policy. When we announced last year the revision in the visa policy, this confusion regarding the hike of the visa fees came at that point in time,” he said. Kumar also said India offer people with other options as well, like the Overseas Citizenship of India (OCI). The OCI is an immigration status permitting a foreign citizen of Indian origin to stay in India for longer durations under laid down rules. It was introduced in response to demands for dual citizenship by the Indian diaspora, particularly in developed countries. Kumar said Malaysians have choices such as the one-year and five-year visa, and also OCI, while stressing that the fees are at par with other countries and is not at all exorbitant. On the progress of India considering 14-day free single entry for Malaysians, Kumar said: “It is under active consideration of the Indian Government”. India extends e-visa validity to one year with multiple entry 0 out of 5 based on 0 ratings. 0 user reviews.